You are here: Home / Eat Well / So what’s wrong with sugar? So what’s wrong with sugar? These are just a few of the headlines in the news this week as the World Health Organization (WHO) announced recommendations to limit sugar consumption to 6 teaspoons of sugar(s) or 5% of calories per day. Statscan reports Canadians average 18 teaspoons per day, so for many this report may call for an extreme adjustment. So, what’s wrong with sugar? Sweeteners have many names and there is a complex relationship between what started out as sugar from the cane plant hundreds of years ago, and what we find in food at the supermarket today. Some we’re familiar with: sucrose, fructose, glucose, amylose (mostly from grains), and lactose (dairy), to name a few (a safe assumption is anything ending in -ose is a sugar). There are also sugar alcohols called polyols (words ending in -ol) such as in xylitol, sorbitol, erythritol, and maltitol, for example; sugar alcohols are a hybrid of sugar molecules and alcohol molecules, and are most commonly found in so called sugar-free food products for diabetics because they require little to no insulin to metabolize so their effect on blood sugar is minimal compared to cane sugar. The downside of sugar alcohols is they are poorly digested and can cause bloating, abdominal pain, and diarrhea. Other sweeteners are the controversial HFCS (high fructose corn syrup which as its name suggests is processed from corn and is usually referred to as glucose-fructose in Canada), and those touted as all natural including maple syrup (not table syrup), honey, stevia rebaudiana (a plant with leaves that can be dried and used to sweeten), and agave syrup (and a derivative of the agave plant: agavins). 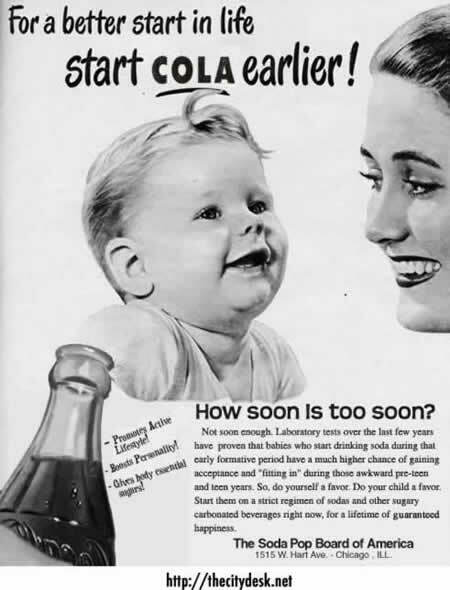 Finally, there are several artificial sweeteners which are considered food additives such as saccharin (Sweet’NLow®) which is banned in Canada, aspartame (Equal® or NutraSweet®), sucralose (chlorinated sugar) marketed as Splenda®, stevia derivatives (multi-nationals such as Cargill/The Coca-Cola Company and Pepsi-Co have developed patented variations as Truvia®, and PureVia® respectively). Whew! That’s quite an array of potential sources of sweetening, and this is not an exhaustive list. These are the most widely known & used and are often combined, but food corporations are always looking for cheaper ways to deliver a sweeter product to the shelf in the belief that’s what the market (you and me) demand. Why is it we want (need?) sugar in peanut butter, sausages, cereal, yogurt, and applesauce for instance? Is it because since childhood our palate has grown more and more accustomed to the taste of sweet? Or a deeper physiological need to satisfy what amounts to a craving for sweet things? There is a whole body of research exploring the relationship between food, gut microbiomics, and the brain, including an analogy between drug addiction and sugar cravings aka addiction. Part of the reason it’s so hard to kick a sugar habit is our brain becomes addicted to the natural opiates triggered by sweetener consumption. Successive and excessive rewards override our self-control and this leads to addiction, whether it’s alcohol, cocaine, cola, or cookie dough ice cream. Rationalize it anyway you wish, it really doesn’t matter if you’ve decided your sweetener of choice is healthy, natural, low-calorie, or virtuous in some way; sugar is sugar. The end result is a craving for the food or beverage that delivers the sweet reward, and the consequences to our health? Well, tomorrow is another day. Sweeteners or sugar in any form has been characterized by WHO as the next tobacco not only because it’s addictive but because that need to satisfy the craving for sweet has caused health issues ranging from non-fatty liver disease and obesity, to a host of chronic health disorders. These things don’t crop up as soon as one finishes a piece of cheesecake. It takes many years, and many cheesecakes, bags of Cheetos, colas, ice cream, donuts, and perceived healthy foods such as yogurt, fruit juice, smoothies, chocolate milk, cheese, or bagels, and a lifetime of prepared condiments, fast food & prepackaged meals to see the health impact and appreciate the craving for sweeteners. It’s hard to overstate how destructive sweeteners can be for our body, and how difficult it can be to stop or cut back on sweetener consumption. As an exercise on your own, go to your pantry or refrigerator and look first at the nutrition label to see how many grams of sugar are in your foods; then, read the ingredient label to see what kind of sweetener(s) are listed. Sugars are called a host of terms from anything ending in -ose or -ol to maltodextrin, brown rice syrup, glucose-fructose, cane juice, invert sugar and more, so getting a handle on what ingredient is a sweetener can be a challenge. Imagine if one was a cocaine addict in rehab and everything in the cupboard or refrigerator contained cocaine. That’s what a person deciding to rehab themselves from sweetener/sugar consumption is facing. The temptation is pervasive, and television, magazines, bus shelter ads, social gatherings, co-workers, family, and supermarkets push products that contain sugar often innocently enough it seems anti-social to refuse. Do you doubt sugar or sweeteners are harmful? OK. Look at the flipside of that: Are sugar or sweeteners good for you? Help you grow strong bones or promote heart or liver health? Cut your risk for diabetes or cancer? Give you soft, clear, glowing skin? Improve neural pathways or support mitocondrial development? No. In fact all of these are undermined by the consumption of sugar or sweeteners, along with psychological health. You can do this and owe it to yourself and your health to see what a difference it can make in your life. The book linked here is an affiliate link to Amazon but the price you pay is the same as if purchased through your usual log in to the website.